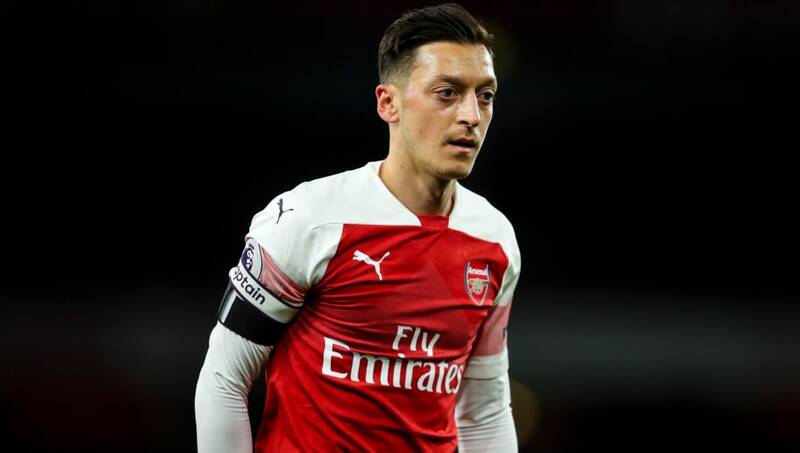 Arsenal playmaker Mesut Özil will be available for selection when the club takes on Qarabağ in their final Europa League group stage match on Thursday. The World Cup-winning midfielder has been out of action for over a month following a back injury, with his last appearance coming back against Wolverhampton Wanderers on 11 November. Arsenal have maintained their unbeaten run even during Özil's absence, but the club have confirmed on their official website that the German will be available for Unai Emery once again in mid-week. Aaron Ramsey has also returned to full training this week and has been declared fit by Arsenal's medical team, while Shkodran Mustafi is going to be assessed before Qarabağ's trip to the Emirates. Most importantly for Arsenal, Özil's return will see their first team squad boosted when they travel to Southampton on Sunday, a team who have often proved to be the Gunners' bogey team over the last few years. All eyes will then be on December's second North London derby, where Tottenham will travel across town to take on Emery's Arsenal in the quarter final of the Carabao Cup. Özil was forced to sit out of their first meeting earlier this month due to his back problems, where Arsenal secured a breathtaking 4-2 win, so the German will be eager to feature in the 11th North London derby of his career. It will prove to be a fantastic opportunity for both teams to crown this season off with a piece of silverware, something which has so far alluded Mauricio Pochettino at Tottenham.